When the next version of Windows 10 Mobile rolls out this summer it will add fingerprint sensing capabilities to Windows Hello. 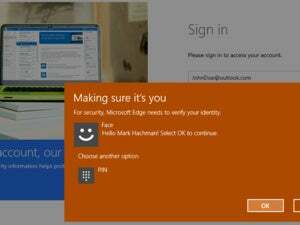 Microsoft's improving the biometric login capabilities of Windows 10 Mobile in the coming months. The company plans to add fingerprint sensor capabilities to Windows Hello—the biometric login feature built into the operating system—in the mobile version of Windows 10 this summer. 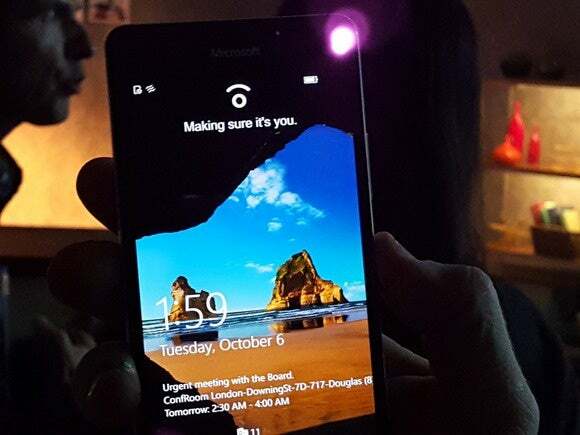 Windows 10 Mobile already supports retina detection, which is used by the Lumia 950 and the 950 XL. Microsoft revealed its plans for fingerprint sensing during the Windows Hardware Engineering Community (WinHEC) planning event, which was held in China in March. Earlier this week, Microsoft released its presentation slide decks from the events on Channel 9, allowing the public to find out about its plans. To use the new fingerprint scanning capability your phone will have to come with the hardware required to use it. The first handset to use the fingerprint capability will likely be HP’s Elite X3. The company previously announced it would offer “dual biometrics” on the phone with iris detection and fingerprint scanning. Why this matters: Unlocking your phone with a retina scan feels cool and very futuristic—almost Mission Impossible-like, you might say. But it’s also an impractical feature, at least in my experience on the Lumia 950. Retina scans are far slower than entering a PIN, to the point that I often forget the feature is there and just quickly zip through my code instead. Retina scans also don’t work at all when you’re outdoors on a sunny day. Fingerprint scanning, meanwhile, tends to be very responsive, and many hardware makers already have experience with the technology.